Wall Street finished higher on renewed optimism about a potential US-China trade deal, and ahead of key economic data releases. The Dow Jones closed at 26,091.9, up 0.2%. The broad-based S&P 500 edged up 0.1% to 2,796.1, while the tech-rich Nasdaq gained 0.4% to 7,554.4. Wall Street spent the entire session in positive territory, but equities faded somewhat in the final hour of the day in a move that analysts attributed to profit taking. US President Donald Trump said he expects to hold a "signing summit" with China's President Xi Jinping to seal a trade deal, since negotiators are "very, very close" to an agreement. Mr Hardeman's is the first case to be heard in a US District Court but follows the case last year of Dewayne Johnson (above). Jurors in a State Court last August unanimously found that Monsanto acted with "malice" and that its weed killers Roundup and Ranger Pro contributed "substantially" to Mr Johnson's cancer. The court ordered Monsanto to pay nearly $290m for failing to warn him that Roundup might cause cancer. A US federal appeals court said the trustee liquidating Bernard Madoff's firm can file lawsuits to recoup funds from defendants including Koch Industries, controlled by the billionaire brothers Charles and David Koch, and major banks. It gives the trustee Irving Picard a chance to add hundreds of millions of dollars to the $13.36bn he has recouped for former customers of Bernard L. Madoff Investment Securities. Madoff's firm collapsed as it was found to be a Ponzi scheme rather than the successful investment firm its investors thought. Mr Picard had sued Koch for $21.53m allegedly sent by Madoff to Fairfield Sentry, a British Virgin Islands-based feeder fund, and then to a Koch entity in the UK. He did not allege wrongdoing by Koch. The controversial weed killer Roundup was a "substantial factor" in a US man's cancer, his lawyer told a court in California today. Edwin Hardeman, of Sonoma County north of San Francisco, filed a complaint against Roundup's maker Monsanto in 2016. The company was bought by Germany's Bayer last year. Monsanto, which has sold Roundup worldwide for more than 40 years, says its products are not dangerous if the instructions are followed. Swatch Group has filed a complaint against Samsung saying it infringed its trademark on designs for downloadable smart watch faces. "This unabashed copying of the Trademarks can have only one purpose - to trade off the fame, reputation, and goodwill of the Swatch Group Companies' products and marks built painstakingly over decades," Swatch Group said in a filing to the court in the Southern District of New York. Swatch has requested a trial. Swatch and Samsung were not immediately available to comment. The Nordic and Baltic regions need to work harder to combat money laundering and their reputations have been damaged by recent scandals, according to Swedish central bank Governor Stefan Ingves. "We have collective homework to do in the Nordic and the Baltic when it come to these issues," he said in a press conference. Swedbank, Sweden's biggest mortgage lender, is under investigation after a report from Sweden’s public television broadcaster last week linked it to a wider money-laundering scandal involving Danske Bank in Estonia between 2007 and 2015. Behind the talk of "good progress", weary diplomats are sticking to the same old script, writes Katya Adler. How come we are just hearing about the sentencing of these tax fraudsters? There was a reporting restriction until now to protect other investigations, according to HM Revenue & Customs. Professor Swingland had been awarded an OBE for services to conservation. But following his conviction in 2017, this was cancelled on the recommendation of the Cabinet Office Forfeiture Committee. Investors were able to claim tax rebates on the losses that the businesses apparently generated, or lower their tax bills. The majority of repayments claimed were withheld by HMRC, it said. The fraudsters used offshore companies in Mauritius and the Seychelles to cover their tracks. Bank of America will drop the Merrill Lynch name from most of its businesses, it said. Two fraudsters, who attempted to steal more than £60m through a fraudulent tax avoidance scheme claiming to invest in HIV research and conservation, have been jailed for a total of more than 14 years. Ethical Trading and Marketing Ltd company director Antony Blakey and finance director, John Banyard lured wealthy people to invest in the scheme with the promise of avoiding tax by supporting tree planting in the Amazon and research into a HIV cure. The two were helped by conservation scientist Professor Ian Swingland who joined the fraud to help create the fake documents and add credibility to the scheme. Swingland received a two year sentence, suspended for 18 months. Trials and appeals happened from 2016 to 2017 but restrictions on reporting the trial were lifted today. More on that US-UK deal to keep contracts deals working post-Brexit. It's good, says the City of London Corporation, that's the finance district's local authority, but there's lots of other things to sort. This announcement by the UK and US authorities is a welcome bridge over the Brexit cliff-edge when it comes to cross-border derivatives trading and clearing. It is now critical that European Union regulators urgently address remaining cliff-edge issues such as contract continuity and data flows. 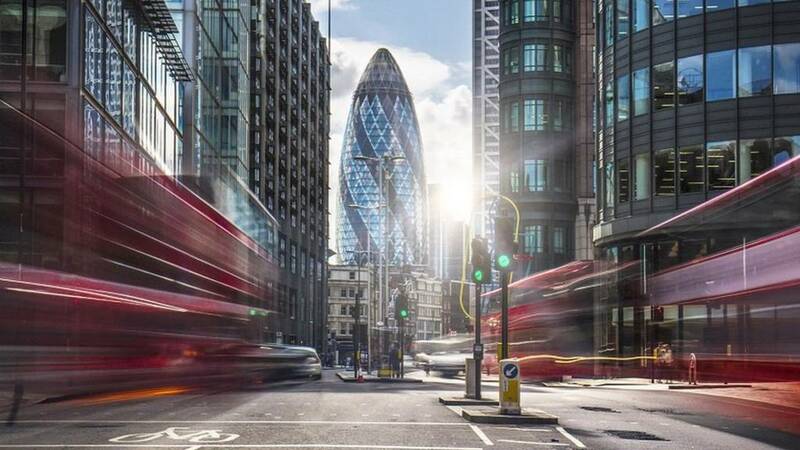 These are issues that could disrupt cross-border financial services and prevent firms from serving their customers in the event of a no deal. Brent crude, pictured, is down 2.89% to $65.18 a barrel after President Donald Trump's warning for OPEC not to tighten the oil market too much and risk another spike in prices that could harm the world's economy. As things wind down in London, the FTSE 100 is up 0.17% to 7,190 while in the US, the S&P 500 is up 0.74% to 2,813.45 helped by that General Electric spike. Italian Economy Minister Giovanni Tria said Italy's economy, the euro zone's third biggest, is between stagnation and recession. He said suggestions of a more modest budget for the country is "folly and speculation" and Brussels officials have not not said they want one, Mr Tria said during recording of an interview for Mediaset television. General Electric won't be splitting off its healthcare business and selling shares in it, Bloomberg reports. This was one mooted plan to help the company turn around its fortunes and cut some of its debts. After its latest deal it may not now need to, Bloomberg reports. The firm's shares jumped 15% after it said it will flog its bio-pharma business, riasing $21bn in cash. Optimism across the service sector fell sharply in the three months to February. That's according to a quarterly survey by the employers' body the CBI. Sentiment fell among both business and professional services and consumer services firms. In the business and professional services sector – which includes accountancy, legal and marketing firms – optimism about the business situation fell at the fastest pace since financial crisis. Rain Newton-Smith, CBI Chief Economist, said: “With just over one month until we leave the EU, the effect uncertainty is having upon the sector is unmistakeably negative. Volumes and profits continue to fall across both services sub-sectors, while optimism has fallen at the quickest pace since 2009." Swiss drug maker Roche is buying Spark Therapeutics in a $4.3bn transaction that will boost its presence in haemophilia and gene therapy. Roche is buying the US-based company for $114.50 per share, a premium of about 122% to its closing price last week. "Spark Therapeutics' haemophilia A programme could become a new therapeutic option for people living with this disease," said Roche's chief executive Severin Schwan. The ADS, the UK trade organisation representing the aerospace, defence, security and space sectors, has warned about the impact of Theresa May's delay to the Brexit vote. Quote Message: Today we are able to track the very real economic damage being caused by a poorly managed political process of agreeing the withdrawal agreement and political declaration. The continued delay is turning the UK’s political failure into a full-blown economic crisis. “It is essential the threat of a no deal Brexit is removed, a firm transition period is secured and negotiations on the UK’s future relationship with the European Union commenced at the earliest opportunity. from Paul Everitt ADS chief executive. Today we are able to track the very real economic damage being caused by a poorly managed political process of agreeing the withdrawal agreement and political declaration. The continued delay is turning the UK’s political failure into a full-blown economic crisis. 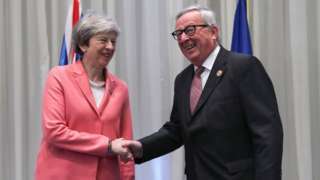 “It is essential the threat of a no deal Brexit is removed, a firm transition period is secured and negotiations on the UK’s future relationship with the European Union commenced at the earliest opportunity. Paul Everitt ADS chief executive.